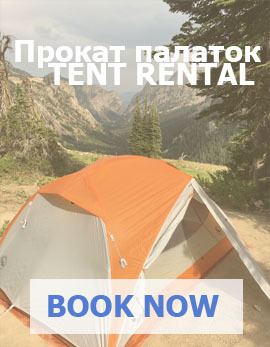 Kulob (which means swampy place or rushes and has also been called Kulab or Kulyab), is a city in eastern Kulob district, Khatlon Province, Tajikistan. Located 203 km southeast of the capital Dushanbe on the Yakhsu River (a tributary of the Panj) at 580 m above sea level; it is one of the largest cities in the country (population 82,000). The town has been difficult to reach and was isolated for decades as a result of its being bordered by Afghanistan on the south and east (along the Pyanj River), and the Pamir Mountains to the north; this has ended recently with the extension of roads north and westward through the Pamirs to Dushanbe, and its connection by rail to Dushanbe via Qurganteppa. The province is naturally defined by the river Panj (upper Amu-Darya) and the Hazrat-e Shah range in the east, offshoots of Tajikistan’s central mountains in the north, the Teraklitag and Karatag ranges in the west, and again the Panj in the south, to which flows southward the Kizilsu (Sorkab), the main river of the region. The area is relatively conservative and traditional dress and norms predominate. Kulob is the birthplace of the current President of Tajikistan, Emomali Rahmonov, Canadian media entrepreneur Moses Znaimer, and popular Tajik singer Manija Dawlatova. Part of the Khanate of Bukhara since the 16th century (the Emirate of Bukhara since the 18th century), the city changed its name from Khatlon to Kulob in 1750. 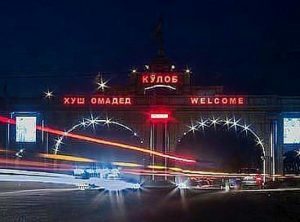 In 1921, after the fall of the Bukhara Emirate, Soviet rule was established in Kulob and the city became an industrial center during the Soviet era. In September 2006 Kulob celebrated its 2700th anniversary. Throughout its history, Kulob was part of empires, though often with substantial autonomy due to its isolation. The first mention of Kulob appears to be by Ebn al-Atir, who refers to the fortress in his account of the Mongol invasion of Transoxiana. The next mention occurs much later, in 963/1555, by Saudi Ali Rais, a traveling Turkish admiral. Nevertheless, it was only after the Uzbek invasion of 992/1584 that Kulob became the capital of Khotlan, a status stated first in 1002/1594 by Amin Ahmad Razi. 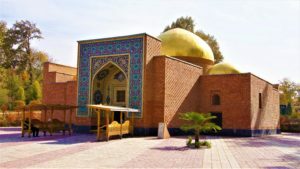 Relocation of the shrine of the renowned Sufi leader Amir Sayyed ‘Ali Hamadani sometime between 1584 and 1594 AD (two centuries after his death), to Kulob must have contributed to the importance of the town; its name was gradually extended to designate the entire province. Already in the early 17th century the name Kulob was current for the province. The old name Khotlan, however, continued to be used sporadically as a historical reminiscence as late as the early 20th century. In modern times, the region was often divided administratively into Kulob proper in the southeast and Baljovan in the northwest. Due to the importance of Kulob as a trading point on the route between Hesar and Afghanistan, the surrounding Uzbek states competed to control it, beginning with the Shebanids in 1584. During the 17th century, the province was given as a fief to various princes, who were subordinate to the Ashtarkhanids of Balkh. With the decline of the Ashtarkhanids, the predominant role in Kulob seems to have been gradually acquired by the Uzbek tribe of Lakai/Laqay, who penetrated the region from the northwest. The Uzbeks’ authority ended in 1164/1751, when the local rulers south of the Amu-Darya submitted to Ahmad Shah Dorrani, the founder of Afghanistan. For the rest of the century Kulob remained under the control of the expanding Hesar. For most of the 19th century Kulob and its northern neighbors Qarategin and Darvaz formed a buffer zone among the powerful states of Bukhara, Kokand, and Afghanistan. 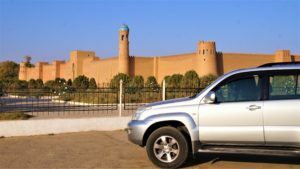 The town was destroyed in the 1830’s when the khanate of Kokand claimed the territory, but rebuilt in the 1870’s. The emir of Bukhara gained control of the area around 1870 with Russian support. Beginning in 1885 a rebellion broke out and spread across the area, when, owing to a good harvest, tax collectors demanded unreasonable tax payments. The uprising was eventually crushed by troops sent from Bukhara; and its leader, Wase, was captured and brought to Bukhara, where he was put to death. The incident was the subject of a popular opera, and further used as a propaganda tool in Soviet literature. The advancing Red army took control of the last bastions of independent central Asia in 1921. Kulob, however, remained the last stronghold of the Basmachi resistance, holding out for several more years. Following the independence of Tajikistan, Kulob played a major role in the political affairs of the republic. Due to its relative underdevelopment, the province nurtured conservative forces who despised the developments which were taking place in the capital. The civil war of 1992 began with fighting among opposing groups in the streets of Kulob, and it spread to the rest of the country when Sangak Safarov, the local warlord who had blockaded the province, led his armed men of the Popular Front westward to Qurganteppa and then to Dushanbe. The emerging government was almost entirely made up of former officials from Kulob and Kulob, allied victors of the irredentist civil war. Within Soviet Tajikistan, Kulob gained the status of province in 1939-55, and again in 1973-1992, after which it was unified with its western neighbor Qurghanteppa into the new province of Khatlon. The area of the province of Kulob was 12,000 km; its population, more than 400,000 according to the 1979 census, doubled by the turn of the century. 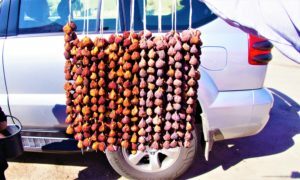 Its main produce was cotton and cereals, with gardening and sericulture prevailing in the upper slopes of the hills which also offer rich pastures to herders. The rural life of the province was organized into large collective farms Cotton-growing farms began to expand in the late 1940s, when a large number of the dwellers in mountain villages were forced to migrate to the southern plains of the province or to the valley of Vakhsh on the west. Consequently, many settlements disappeared from the maps, which reveal also major administrative rearrangement of the province caused by the demographic redistribution. Baljovan, which once rivaled Kulob for the seat of the province, shrank to an undistinguished village. The precipitation is much higher in the northern part (60-80 cm) than in the southern fertile plain of Farkar-Chubak (20-40 cm). Archeological sites of Kulob are rather limited. In addition to Holbok, excavations include communal houses from the late neolithic in Bolyan mountain in Dangara and a Greco-Bactrian site in Sakanasor on the northern bank of the Panj. A major surviving edifice is the mausoleum of Amir Sayyed Hamadani (1314-85), which attracts many pilgrims to the city of Kulob. It is centered on a richly carved three-portal structure consisting of a domed hall and burial vault from the Shaibanid era, to which several domed chambers were added later. From the same period or even earlier survives Yar Mohammad Wali’s tomb in the village of Bokarak and the mosque and mausoleum of Sah-e Kamos in Langar-kalan. In the latter village stands also the two centuries-old shrine of Damolla Ekram, however it is poorly maintained. The region is Persian-speaking, and its dialects are grouped together with the “southern” group of Tajik dialects. Turkic influences have mostly been absorbed by Tajik elements, though traces remain in the form of some borrowed words and ruined sites.